KATHMANDU, JULY 27: The plan to set up a foreign employment unit under Nepal Police could be a game changer in ending the woes faced by migrant workers but the government looks certain to face multiple hurdles including legal complications. 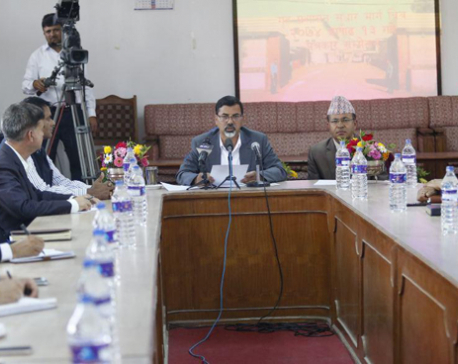 Home Minister Janardan Sharma on Thursday announced to form a foreign employment cell inside Nepal Police to tackle the growing fraud in the overseas employment sector. Speaking at the International and Labour Committee of the Legislature-Parliament, Minister Sharma said that his ministry was considering several other measures like enhancing coordination among the key stakeholders to tackle the irregularities in the foreign employment sector. "The cell will be entrusted with the role to provide assistance to the victims of overseas employment including victims of fraud. 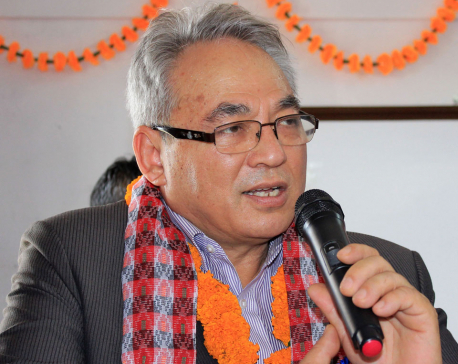 We can even send police officers to the major work destinations to sort out the problems faced by Nepali migrant workers," Sharma told the parliamentary committee. The plan, if it sees the light of day, could be a game changer in controlling foreign employment fraud and tackling other woes facing migrant workers. The scale of fraud facing Nepali migrant workers, both at home and abroad, is huge. At least six complaints of overseas employment related fraud get registered each day, according to the Department of Foreign Employment (DoFE). DoFE records show that a total of 2,254 complaints from migrant workers were registered in the past eleven months (from mid-July 2016 to mid-June 2017). The actual number could be much higher as many victims do not file complaints out of ignorance or due lack of confidence in the justice system. But chances are slim that the proposal will ever see the light of the day due to a host of barriers. The biggest hurdle is likely to come from the Foreign Employment Act 2007 which prohibits Nepal Police from handling the cases related to foreign employment unless the cases are related to human trafficking. Fraud cases should be either settled through arbitration at the DoFE or resolved at the Foreign Employment Tribunal, a court especially set for foreign employment problems. DoFE officials handling such cases will have as much power and jurisdiction as the police. "In making investigation or an inquiry into any offense pursuant to Sub-section (1), the investigation officer shall have the same powers as the police have under the prevailing laws, which include powers to arrest the person involved in the offense, search any place in relation to the offense, take custody of documents or other things related with the offense, record depositions and execute recognizance deeds," according to the act. The home minister's proposal is also likely to face an equally bigger opposition from the manpower agencies and agents. When police raided manpower agencies last year, hundreds of manpower agency operators and agents had resorted to the streets asking the police to respect the laws. "The law bars the police from handling foreign employment cases. I don't think the government will change this provision. If it does, we will shut down the foreign employment business," said a former president of Nepal Association of Foreign Employment Agencies.